Amazon Key allows Prime members to receive packages inside their homes with smart key access and a cloud security camera. Amazon will start delivering packages into the homes of Prime membersAmazon on Wednesday announced Amazon Key, a new program for Prime members that lets delivery people drop off packages inside of customer homes. To make the program possible, Amazon has introduced its own $140 internet-connected security camera called Amazon Cloud Cam. 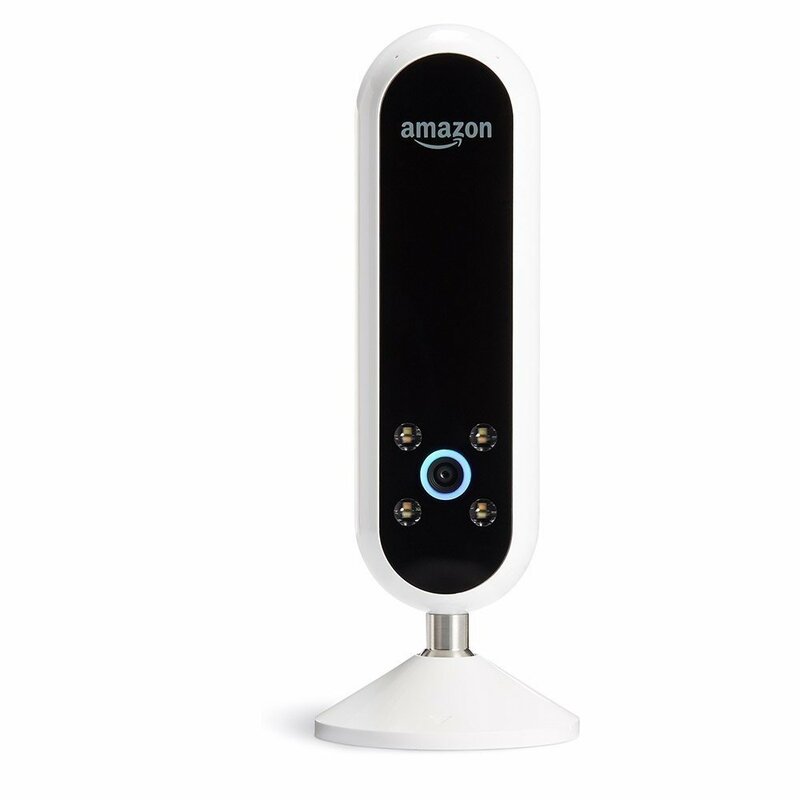 Amazon debuts Cloud Cam and Key to take on Nest, August and others in home securityAmazon wants to be the hub for your connected home, and today the company announced two new products that will help it fill out that ambition, specifically in the area of home security. It announced a new "intelligent" camera called the Cloud Cam, and a new smart-lock service called Key. Amazon Key is a new service that lets couriers unlock your front doorTwelve years ago, Amazon launched Prime, a subscription service that entitled members to free two-day shipping in the United States. Since then, it has added a number of options to make delivery faster and more convenient. Prime customers can get same-day delivery, and drop off with an hour or two on some items. Of course, customers aren't always home to receive their packages. Would you recommend Amazon Key to a friend? Cris Firmo has never used this product. It's a good idea and how to deal with the issue of people who actually steal packages off doorsteps. But I don't feel comfortable having a stranger enter my home just to put a package in. Also, I would have to change my front door lock just to accommodate for this service. I wonder how much that will cost. Stefano Alberga has never used this product. Amazon is trying to sell to the "I can't afford furniture but I can afford an automatic lock system and house cleaners" demographic. @brockgazure I guess that's what they'd call "minimalism" nowadays. Brilliant (and obvious move) by Amazon. This furthers their integration into the home, enabling them to become the connector (and provider) for a variety of services beyond package delivery such as in-home cleaning, dog walking, etc. @rrhoover This has me wondering if Amazon made any attempts to buy Task Rabbit. @kristyt ahh, good question. I'm sure @sbp04 can't share but cc'ing her here as she would have unique insights on this space. @rrhoover @kristyt Didn't Ikea just buy that? @rrhoover @mrkampmann They did. I think Ikea is a good fit but imagine an army of taskers deployed with access via Amazon Key. Amazon has some home services I've tried to use but was not impressed with the implementation. Merott Movahedi@merott · Freelance Developer. Maker of BlueDash. @chrismessina I think his point was that dogs don't like strangers, especially those of the "intruder" type. Must have been some consideration to this in the UX. E.g. "Do you own a pet/dog?" @jamiesunderland The FAQ page states Can I receive in-home delivery if I have a pet? We do not recommend using in-home delivery if your pet can access the front door on delivery day. The industrial design on this feels incongruent with the Echo line. Different departments? @chrismessina Seems the lock is actually designed by Yale from what I can tell. The camera though, which does appear to be designed by Amazon, looks a touch more Echo like. @chrismessina @jamesjgill I was thrown off about how different they look together as a set. The cam and lock options don't feel like a system. @jamesjgill @kristyt @rueter yeah, I specifically meant the camera, since the locks are made by 3rd parties. Like, it doesn't feel that consistent w/ the Echo Look. @chrismessina I actually think it's a smart design: the Echo Look is a "friendly" device you interact with, and should feel approachable and friendly. The Cloud Cam is surveillance, it's meant to create a sense of "you are being watched" and so the design should reflect that. It sets the expectation correctly. Well, IMHO, at least. I knew this day would come. This looks like the lock you find on a public restroom. Now that Amazon is starting their own fleet of delivery drivers, they’re going to have to have access to restrooms somewhere, so why not yours when you’re not home? Why not anyone? That’s it! This is my @ProductHunt hackathon idea: Airpoonpee—💩 anywhere with Amazon Key.